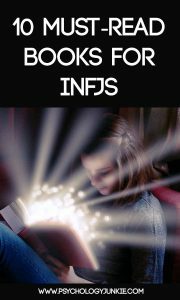 It’s no secret that INFJs are book lovers. Enter any INFJ group or forum and you’ll see countless threads about “favorite books”. Reading is by far one of the favorite pastimes of most INFJs (including myself). Books provide a respite from a weary world, an escape into the imagination, and, in some cases, helpful advice for the ups and downs of life. There are so many wonderful books out there, and so many books that INFJs love to read, so this was a hard list to narrow down. I asked as many INFJs as I could to tell me which books were their favorites, then I tallied up the ones with the most responses. 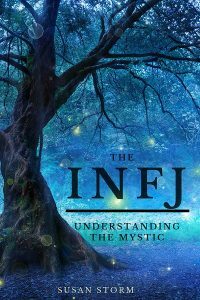 Why are INFJs drawn to these specific books? This post contains affiliate links. I only recommend books I truly love and believe in. Brave New World is one of the original dystopian novels, written in 1931 by English author Aldous Huxley. This book captures a vision of a technologically-advanced future where humans are bred genetically, socially indoctrinated, and pharmaceutically anesthetized to survive passively under an authoritarian rule. There is no freedom anymore, no spirituality or soul-searching. How will humanity survive like this? What will become of a people without any sense of individuality? INFJs will appreciate the vision and scope of Huxley’s writing, and will likely reflect on the possibility of a similar scenario playing out in the future. Find out more here: Brave New World. Ten people are invited to an island for the weekend. Each harbors a shameful secret, but none are aware, until they each start dying off one by one, that there’s a pattern to each guests secret. Panic ensues when the guests realize one of their own is the killer. This incredibly suspenseful mystery created the template by which many mysteries have since been copied, and this book is considered by critics to be Christie’s greatest technical achievement. Agatha Christie is believed by many typologists to have been an INFJ; her visionary writing, ability to connect the dots, and insight into human nature have made her stand out as one of the greatest exponents of classic detective stories. So many NFs voted for Jane Eyre as their favorite book, so whether you’re an ENFP, INFP, ENFJ or INFJ, I’m sure you’re bound to find comfort and beauty in its pages. Stephen King is believed by many typologists to be an INFJ. A.J. Drenth from Personality Junkie states, “Stephen King, most certainly an INJ type, describes his process of writing novels. He is adamant about the fact that he does not consciously plan or piecemeal the plot or direction of his stories. Rather his stories emerge from his unconscious as preexisting wholes, requiring little as far as conscious effort or planning.” You can read more from Drenth here. Do you love these books? Do you have any suggestions? Share your thoughts with other readers in the comments! In high school, I really enjoyed Lord of the Flies. The psychology involved was very intriguing. Although it’s written toward a younger audience, The Mysterious Benedict Society ranks among my all-time favorites for too many reasons to list here. I’m reading Jane Eyre for the first time and it’s truly wonderful. I find myself to be quite at home with Jane’s personality, especially with her inner dialogue. I’m a fan of Huxley. I can’t stand Stephen King. Although I’m not a fan of “Jane Eyre,” my favorite genre of fiction is neogothic novels. I have no patience for children’s novels, especially fantasy. “Crime and Punishment” is overly pretentious. As previously mentioned, I quite like neogothic novels such as Setterfield’s “The Thirteenth Tale,” O’Farrell’s “The Vanishing Act of Esme Lennox,” and nearly everything by Kate Morton. I quite like historical fiction, and can go for nuanced romances. For example, Stephanie Meyer’s “The Host” transcends sci-fi (which I generally abhor) and adds complexity to the idea of romance. Contemporary British Lit is quite good. Syal’s “Life isn’t all Ha Ha Hee Hee,” Zadie Smith’s “White Teeth,” Hornby’s “A Log Way Down,” Alex Garland’s “The Beach” are all novels that INFJ types might enjoy. I also like nonfiction memoir’s such as “Lucky” by Alice Sebold, Timothy Tyson’s “Blood Done Sign My Name, and other provocative memoirs. I occasionally enjoy potato chip novels that help bring me out of my pensive states… essentially romcom style novels. I also enjoy Young Adult fiction (typically historical fiction YA novels) for a nice balance between provocative and not too heavy. Finally, I love short stories for their twists and deep meaning in spite of their short storylines. This is great but no list is complete without Illusions: The Adventures of a Reluctant Messiah by Richard Bach. One quote from the book is the most significant for me: “Argue for your limitations and, sure enough, they’re yours.” This quote hung on my wall at work (a crisis intervention center) and helped inform my choices when I was in my twenties when the book was published in 1977. I’ve internalized the quote by now, of course. The meaning of the quote changed over the years. When I was young it was about overcoming fears and limiting myself less, and then in my 40’s as I came to understand that we all have limitations, choosing those limitations consciously and thoughtfully is the key. Testament Of Youth by Vera Brittain. I really identified with this book growing up and her struggle to get to University against her family’s wishes was very motivating. Vera’s life was dedicated to peace and social justice after the horrific experience of serving in World War 1. I don’t usually read or view anything that describes violence. I am effected by it and can’t get images out of my mind afterwards. This lasts a long time so I am surprised at this reading list. I love Jane Austen and the Narnia books. I often listen to books.